Pressure points Do you know your pressure points? Pills are not the only answer to your health concerns. At times, the solution lies in your own hands! 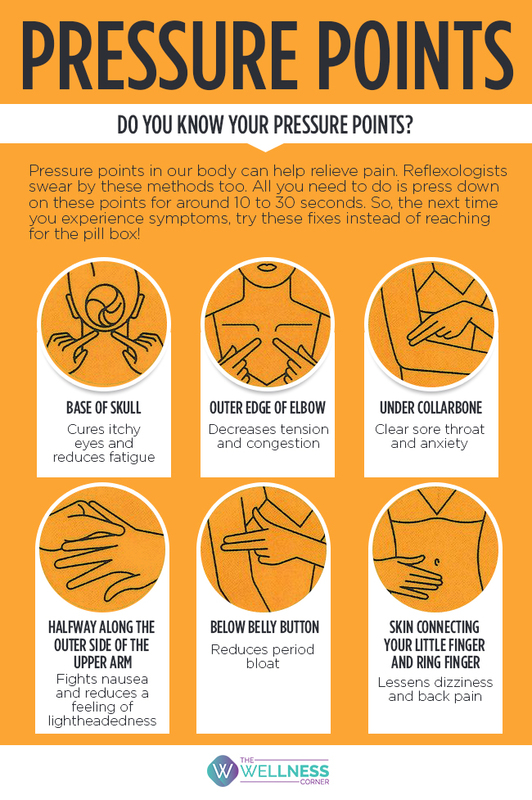 Find out more about how stimulating various pressure points on your body can benefit you in a number of ways.